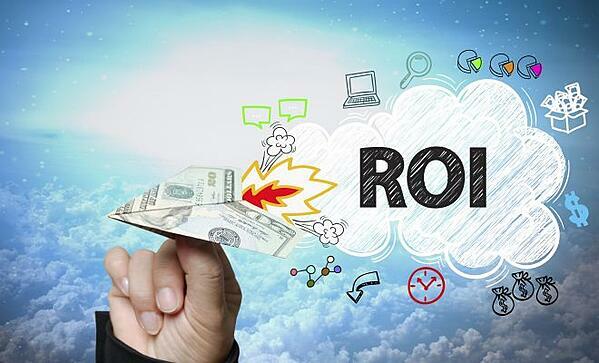 How Do You Measure ROI on Compensation? Return on investment. How often is that term spoken of in business? It's what shareholders expect. It's what CEOs are paid to achieve. Yet, when it comes to pay, ROI is seldom referenced. As a result, rewards programs are not typically held to account for their contribution to shareholder value and business growth in the same way other corporate investments are measured. Well, we live in a business age where that lack of accountability isn't acceptable anymore. So, let's talk about one way you can get a better handle on the ROI on compensation your company is generating. Improved investment return in business is driven by a combination of these three factors: 1) new or increased revenue streams and sources; 2) better margins, and; 3) lowered expenses. A beneficial result in these areas results in profit. In short, when performance is improved in these measures, profitability increases. When it isn’t…well, CEOs begin looking for other work. Shareholder value, however, is improved when there is economic profit—or what some call value-added profit. Economic profit is a measure of return on residual business income—that amount of income remaining after accounting for financial capital costs. These typically include interest, depreciation, amortization and cost of equity. Let’s now use those principles and standards to determine how you can measure the return on your company’s compensation investment. We’ll do so by working through an exercise together. Each part will begin with a question that you should answer for your business. I’ll offer some sample numbers, however, to show how the calculation works. For our purposes, don’t worry about gathering precise numbers for your organization before proceeding. You can return to this exercise and be more thorough with it later. For now, just estimate and focus on the concept. 1. What is the amount of your total rewards investment for this year (salaries, commissions, bonuses, deferred award accruals, core benefits, executive benefits, retirement contributions, payroll taxes, etc.)? Write that number down. We’ll refer back to it in a minute. In my example, I’ll peg the total rewards investment at $25 million. Again, just estimate here and keep track of that number. For my sample business, I’ll identify a capital account of $20 million. For purposes of this calculation, some organizations use their corporate borrowing rate while others arrive at a percentage through another means or measure. Anything from 8% to 25% is typical. For my example, I’ll use 12%. 4. Now calculate a capital “charge” by applying the percentage you just chose against your capital account. If we were using my figures, the calculation would look like this: $20,000,000 (capital account) X 12% (cost of capital) = $2,400,000 (capital charge). This figure is important in identifying the amount of profit that should be attributed to capital already at work in the business before human capital is involved. It is also one way of measuring a value creation threshold for your company. In other words, in my example, profits would have to exceed $2.4 million before shareholders consider added value to have taken place. Added value, in this ROI measurement, is that which is attributable to the contribution of people. 5. What will your net operating income be for this year? Again, just estimate. For this exercise, I’ll assume $10 million. 6. Now calculate your productivity profit by subtracting the capital charge from your net operating income. Productivity profit works on the same principle as the economic or value-added profit referenced above. It is the amount of net operating income in your business that can be reasonably attributed to the contribution of people at work in the business as opposed to other assets at work (those accounted for in the capital account). Applying the figures I’ve been using as examples, the calculation would look like this: $10,000,000 (net operating income) - $2,400,000 (capital charge) = $7,600,000 (productivity profit). 7. Let’s now calculate the return on your organization’s investment in pay by dividing your productivity profit by the figure you identified at the start of this exercise (your company’s total rewards investment). What you’re trying to isolate here is the ratio between your productivity profit and what you’re pouring into compensation and benefits each year. We’ll talk in just a minute about the significance of that ratio and how to use it. Using, again, my figures, the calculation would look like this: $7,600,000 (productivity profit) / $25,000,000 (total rewards investment) = 30.4% (return on total rewards investment or ROTRI™). When most business leaders first go through that calculation, they look at the ROTRI™ percentage and ask: “Is that good or bad?” The answer is it’s neither. Right now, it just exists as a baseline measure. Companies’ ROTRIs™ will cover a broad range because assumptions for margins and the economic profit factors discussed earlier differ widely from business to business and industry to industry. To get a handle on whether your compensation return is improving, you will need to track what’s happening to productivity profit and ROTRI™ from year to year starting from your baseline. Your return on compensation investment is tied to the trajectory of your ROTRI percentage and productivity profit. You want to see improvement in each. If not, your compensation ROI is suffering—and shareholder value is likely following suit. This approach to measuring the return on pay for your company can be helpful in a number of different ways. Perhaps foremost, it gives you a means of defining value creation for your business (value created after accounting for a capital charge). It also puts you in the position of transforming incentive plans into value-sharing plans that are “self-financing.” Incentives should only be paid out of productivity profit—and only when that value-added measure meets the criteria you set for value-sharing. Business leaders have an obligation to owners to be prudent stewards of the investment being made in human capital in the form of compensation. Measuring the return you are generating on this deployment of profits in the business—for most organizations, the single biggest investment they consistently make—is one way that stewardship can be effectively fulfilled. When ROTRI™ improves it means productivity profit is improving. By extension, it means line of sight is improving and a performance culture is emerging. As a result, sustained success can be anticipated. So, let’s hear it for productivity profit and ROTRI™. Three cheers.